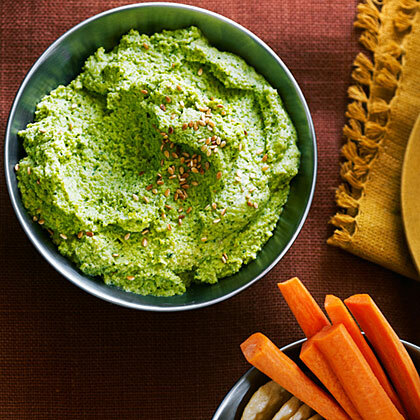 This Asian-inspired hummus came to us from reader Sheila Piccini, of Port Townsend, Washington. It keeps well if you want to make it a day or two ahead for a gathering. Whirl almonds in a food processor until finely ground, scraping inside of bowl as needed, about 2 minutes. Add 1/3 cup water and the remaining ingredients through soy sauce; whirl until well blended, about 3 minutes. Spoon into a bowl and sprinkle with sesame seeds. Serve with the vegetables and crackers.